My "new to me" 999VR (made by Tanzutsu for Tasco, I believe) is scheduled for delivery today. I'm looking forward to comparing this to my Vixen-made 9VR. Most of all, I'm looking forward to getting the red tabletop tripod so I can use it with my 9VR! Here's my 9VR (which I've owned for nearly 1.5 years) on it's "new" red tabletop tripod which just arrived today with a 999VR kit. I like its new look. Edited by fjs, 10 September 2016 - 06:44 PM. The red color of the OTA and the red color of the tripod actually match quite a bit better than the photos make it appear. Scott, the tripod fits perfectly on top of the carry case. There is a strap to hold it there. The side handles come up around it. The case appears to have been made for this. Cool! Now I won't have to wonder where to store it. Great score on both your scopes, Scott. I think you will be pleasantly surprised by the 999vr. I have 2 9vrs and 1 999vr. The first 9vr I bought from Chuck Hards, (Thanks again, Chuck), and the second one a year later after realizing the incredible value these telescopes represent. My second 9vr kit is slightly different than the first. There is a small sticker marked APL on the scope body that was not on the first one. Also the second kit came with a 5mm ortho, a definite upgrade. The cases are the same except under the word Tasco on the second kit it says Japan even though both kits come from Japan. you to see the difference on daytime views. The 999vr despite the field stop keeps right up with the 9vr at night as well with only a very slightly dimmer view. On planets and especially the moon I doubt you will see a difference. 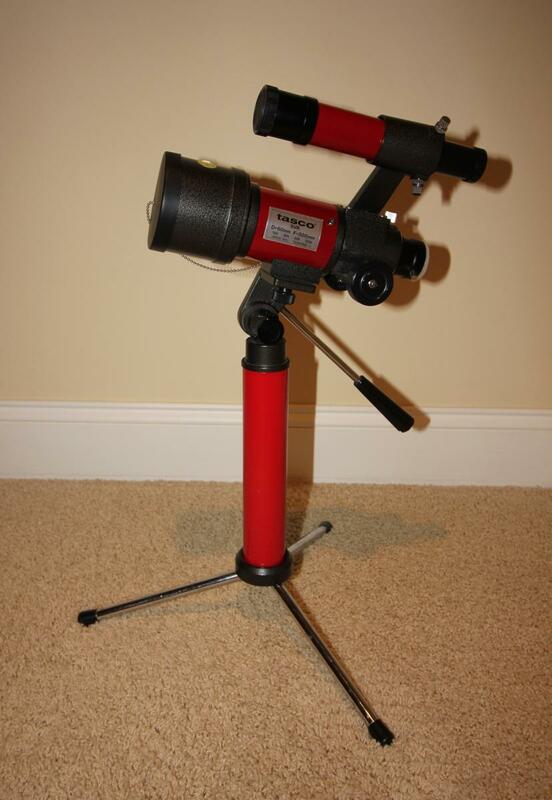 With a good tripod and the slo motion controller you have the ultimate portable all purpose spotter/telescope kit. I keep one, 999vr, on a slik mini table top tripod. The other 2 9vr's I use older velbon aluminum tripods as His and Her scopes for my wife and I. Both have been converted to 1.25 and high quality diagonals added. I have ultima barlows for both. As a side note I was so impressed with the 9vr I went searching for a 10vr. Found one on eBay and purchased it. I was not pleased with the condition it was in compared to the description and returned it for a refund. In the short time I had it, I was not as impressed as was with the 9vr. The main issue I had was with a screw that protruded up 1/4' from the bottom right into the field of view. At first I though someone had mistakenly replaced a factory with a non factory screw but it turned out that was how it was built. I do not feel the 10vr were executed to the same standards Vixen put into the 60mm, JMHO. Not crazy about the red color and I am very jealous of Chuck Hards white beauty. Maybe I can put a tiny Ferrari sticker on it and tell folks it was made in Italy. I have a lot of telescopes to chose from, but these tiny Tascos get there fair share of time under the stars mainly due to their ultra-portability. A medium power eyepiece in one pocket, barlow in the other and you have the recipe for some great casual viewing. Thanks for sharing your story, bulletdodger. I had often thought that I might be interested in a 10VR one day, assuming that it was built to the same standards as the 9VR. I've never seen one in person, but I think that David E. has (or had) one and posted about it in this forum a few years ago. I'll try to find a link to that thread. I've only seen one 10VR personally, ever. A friend of mine bought one at an OTSP swap meet some years ago. 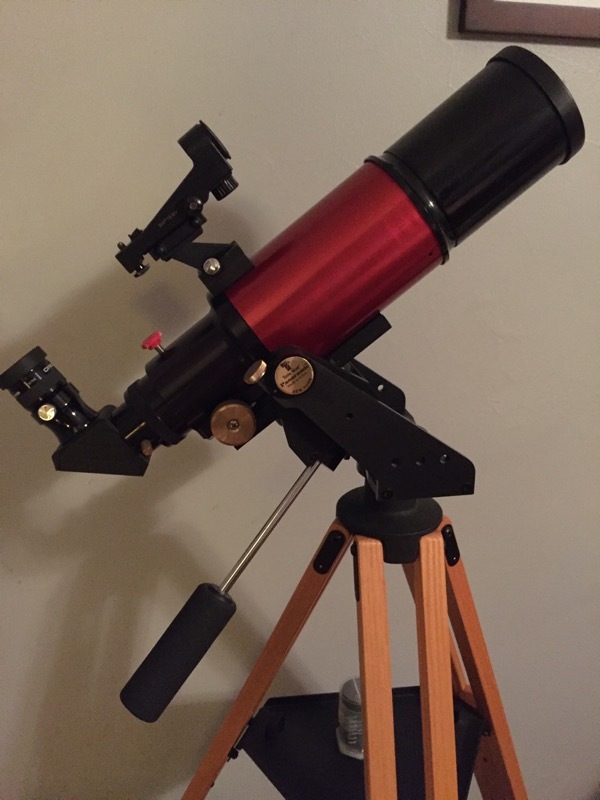 It is an identical build to the Celestron 80SS and the Cometron CO-80, both of which I have owned (and still do in the case of the SS80 -- but it only ever came as an OTA. The CO-80 came in the full kit with the tripod and slo-mo head, diagonal, etc.) Unless you're jonesing for something red, you might consider looking for one of those. What kind of tripod are you using Chuck? That's a Manon 600. It was originally made for stereo photographers, able to mount two cameras on the ends of a swinging center post. But it can also tip-over to match your latitude, which effectively turns it into a true equatorial mount. Hasn't been made since the 60s. They come up for sale on eBay about once or twice a year. This is my second one and it is in practically brand-new condition. Manon also has the model 500 which has the same features, but is smaller and not as robust. The 600 is preferred for our purposes. I guess I should have realized what the other screw mount was for - I thought it was just "flexible." I've got a couple of 500s that I use all of the time. The C80SS I got last year is my go to scope. I've had it out more than anything else since I bought it. The 9VR convinced me that it was worth a hunt, and it has certainly paid off. Shorttube 60s are cute but an ST80 isn't much bigger or heavier and shows so much more that it's hard for me to see the point. that gives views that compare very well with my WO Zenithstar 66 that costs almost four times as much. My wife's also has the Celestron Ultima barlow and a Lumicon Lumbrite diagonal. Besides that, everyone has an ST-80. We are doing our best to march to the beat of a different drummer. Don't stay mired in your conformist astronomical mindset, break free and join us free-thinking Tasco-ites. Just think of it the telescope you still have room for. Now, knowing Terra as I do, this rampant Tasco belittling could be aimed at devaluing these little gems, thus setting herself up once again to corner another telescope market. The 999VR is notorious for lousy optics. So bad that that extra choke baffle had to be added to hide unacceptable total stink optics. A good one is the exception. My 999VR is much better than average and I was able to remove the extra 'sticker' baffle. The remaining baffle is still smaller than the one in the 9VR which is usually quite good. The small remaining baffle in my 999VR limits the objective from 100% illumination in the center to ZERO at the edge of the field of view. Moving ones eye across the focal plane shows all the objective at the center only, and nothing at the edge. This is the only reason my 999VR gives OK images. They are sorry for glass. This case of armpit glass is well documented by way too many people. The 999VR also has inferior mechanics - focuser and finder. The 10VR is a nice scope for mechanics and cosmetics. The objective has shown to be slightly under par. I ran through a handful of 80mm short tubes here (Meade, Celestron, Ioptron...) and all were better than my lack luster 10VR. I finally found that the Ioptron swapped for cell size and gave one of the best views of all the 80mm ST. 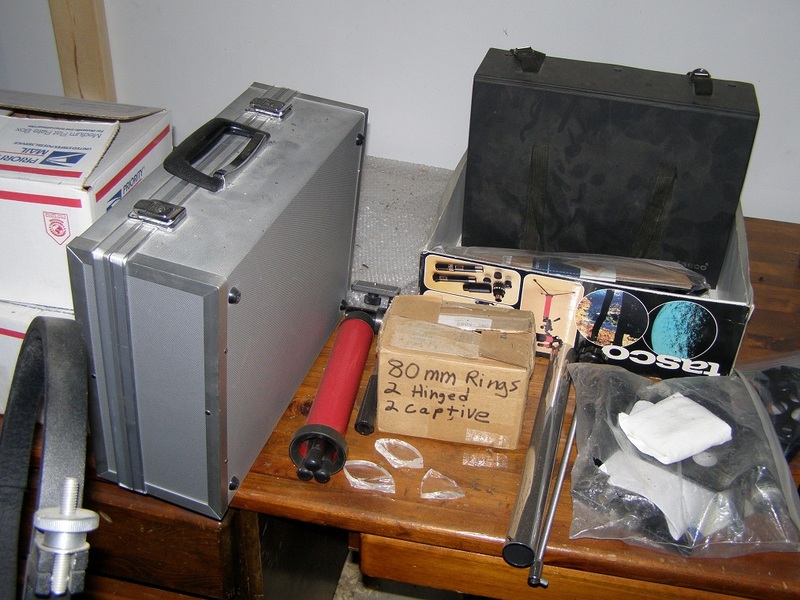 The Ioptron was a cheap light plastic build with great glass and many found this to be the case. It was the lightest of all the 80mm ST.
Great stuff, apfever. You almost have me ready to remove the baffle, but I have not heard good things about its removal and I am not sure my scope would hold up without it. But maybe mine it pretty good because I have really looked hard for differences in viewing quality. Now in saying this, my targets were the moon and planets which don't really test the edges of the FOV. I'm sure it would not do well attempting globular clusters or star fields in comparison. The Moon is hugely immersive in both telescopes seemingly equally. Bad glass non-withstanding, in light polluted skies sometimes less light reaching the eyepiece can be a good thing. Only under dark skies do the larger objectives help you see better. Not arguing the point of comparing glass quality, just noting the 999vr can still bring some decent images if it is all you have. Now I suppose the smart thing to do would be to buy a optically good, but beat up 9vr body and swap objectives with the pristine 999vr. It leaves me wondering if the 99vr is closer to 9vr or the 99vr in the quality of the objective. Love this thread...want more...post people post! Come to the dark side, Terra, we have tiny Tascos and big cookies. Edited by bulletdodger, 12 September 2016 - 06:27 PM. Blasphemy in the Classics Forum! What is the world coming to? Besides that, everyone has an ST-80. We are doing our best to march to the beat of a different drummer. Don't stay mired in your conformist astronomical mindset, break free and join us free-thinking Tasco-ites. Hmm...I don't have an ST80. And the funny thing is that I've never really wanted one, even though I've publicly stated many a time that the 80mm refractor one of my favorite all-around scopes. But you're right about the "cuteness" factor of the 9VR. I can't believe I just said that, but there you go. Please elaborate on this part if you can, specifically the part about the finder. I have not viewed through my 999VR's finder yet, but at least cosmetically and mechanically it looks nearly identical to the finder on my 9VR. However, the previous owner of my 999VR told me that he had replaced its finderscope, and I don't know how this one differs from the original one. but it is pretty smooth none the less. Maybe the glass quality is the biggest difference. I posted here --> http://www.cloudynig...-2#entry6579567 about removing my 999VR's field stopping baffle. Made it a much better low power astro-scope. I don't see much difference between the Tanzutsu and Vixen hardware - focuser looks & feels identical to me. It's the optics. Vixen objective & eyepieces are much higher quality - I can see it. Well I was just rattling your chains a little! I did get the desired effect. I was out tonight with my ST80 and it was giving me some wonderful views of the Moon, Saturn, and even Mars wasn't half bad considering its down in the soup now and only half the apparent size it was a few months ago. Not really a fair comparison tho. I made my ST80 myself from the ground up around a primo Carton lens. It weighs about three times what most ST80s weigh, and is a bit longer too. The 2" focuser started out as a solid block of aluminum. And its candy-apple red! Edited by terraclarke, 12 September 2016 - 09:04 PM. What I would do is put one of Sheldon's Carton 70mm x 300mm objectives in one of them! Here ya go. I knew where these were. There is a plastic bag kind of rolled up in the 999vr box, in front of the black 9VR case. 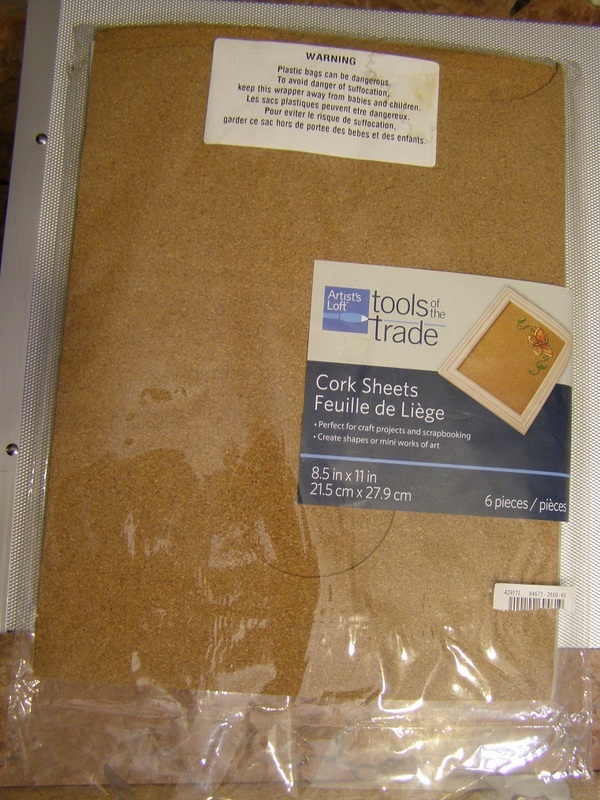 There was a recent string looking for RV-6 cork and I knew I had some 1/32" stuff but couldn't find it. It was in the Tasco VR stuff. Now I don't have that string. Artist's Loft, Tools of the Trade. This made great gaskets. It is the fine grain version cork. I can't remember where it was bought but a common national hobby something somewhere recently. Google the label.